Opening this weekend, in limited release, is writer/director J.C. Chandor’s Margin Call. Starring Kevin Spacey, Demi Moore, Paul Bettany, Zachary Quinto, Penn Badgley and Simon Baker, Margin Call is a very smart economic thriller that revolves around the key people at an investment bank during the 24-hour period before the 2008 financial crisis. As the film unfolds, we learn who knew what and when, and what lines people are willing to cross to stay ahead. While Hollywood often glamorizes or exaggerates real events, Margin Call makes you feel like a fly on the wall and it never feels forced. Definitely recommended. For more on the film, watch the trailer here. A few days ago I did a phone interview with Simon Baker. During our extended conversation, Baker talked about making Margin Call, his thoughts on Occupy Wall Street, and what’s coming up on his very popular CBS show The Mentalist. In addition, he talked about his favorite actors and his favorite films, if more people know him from The Mentalist or The Devil Wears Prada, and I asked him his thoughts on comic book movies as I’ve seen some online folks saying he’d be a good Doctor Strange. Hit the jump for more. Margin Call was shot very quickly. The whole movie was filmed in 17 days. They shot the film on the 42nd floor at 110th Plaza. The whole production took place there, and their changing rooms were offices from a defunct hedge fund bank. 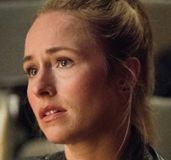 Baker knows whether the Red John storyline in The Mentalist will wrap up by the end of this season, or if it will continue through the entire run of the show, but he won’t reveal the answer. He’s contracted for three more years on The Mentalist (7 seasons). He just finished directing another episode for the series. Reveals that Robin Tunney often pranks him on the set of The Mentalist by getting guest actors to ask him for a photo by saying it’s for their grandmother. He hasn’t heard anything about Doctor Strange casting rumors and he’s not familiar with the character. If you’d like to listen to the interview, here’s the audio. Otherwise the full transcript is below. Margin Call opens tomorrow. Collider: What are some of your favorite films that when you bump into them on TV you just can’t shut them off because they mean that much to you? 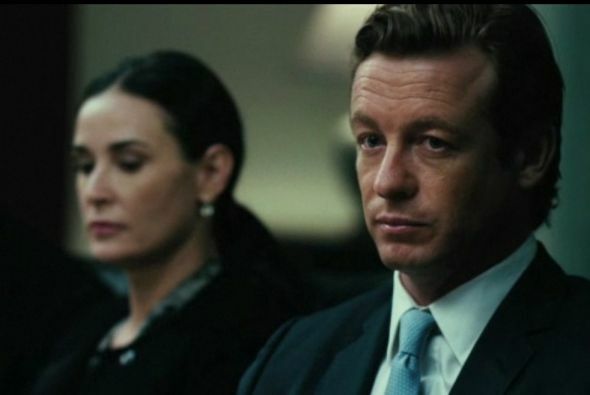 Simon Baker: I’m a big fan of Alan J. Pakula’s films like All the President’s Men, The Parallax View, and Klute. I’m a big fan of those movies. I really like The Conversation. That is one of my favorites. I also like Being There and I think The Graduate is great and phenomenal. I could keep going on. Who is the first actor that you remember just loving? Baker: The first guy I really liked and was kind of obsessed with and had to seek out and find more of his films was Jean-Paul Belmondo. He was the main guy that I was obsessed with. I became slightly obsessed with Marcello Mastroianni as well. Do more people want to talk to you about The Mentalist or The Devil Wears Prada? I was figuring that it was maybe The Devil Wears Prada because it is still an important thing among women. Baker: Yeah. For a while it was that. It is funny because I sort of have a range….Devil Wears Prada hit a certain audience and African-American woman really responded to a movie I did called Something New, which is an interracial love story. I always get a bit of a giggle whenever I am down at the supermarket and I am at the queue when an African-American woman goes, “I saw you in that movie!” That’s always cute. The Mentalist is on television, free to air, and it is in people’s living rooms. It’s also in 30 something countries in the world. So a lot of time I get recognized for that. 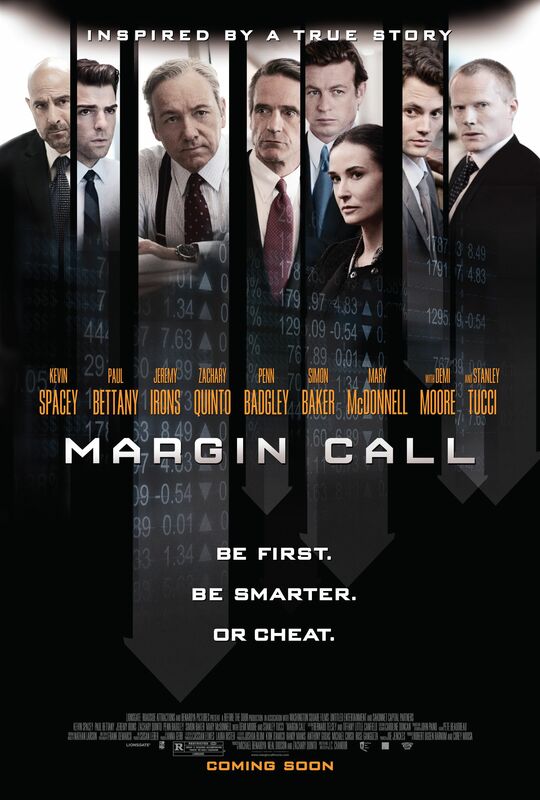 Jumping into Margin Call, this film could not be timelier with everything that is going on with Occupy Wall Street. Baker: How do you feel about Occupy Wall Street? I try not to put myself in interviews, but I definitely think that there is a discrepancy between the amount of people that work and can not get ahead and the amount of very wealthy people that keep on getting richer. Baker: Yeah. Do you think that is called capitalism? Yes. But I personally do think that the capitalistic system has been skewed a little bit where it is not allowing that many people to move ahead while the richest people do seem to get even richer. Baker: The rich get richer and the poor get the picture. I think this Occupy Wall Street thing is great. I think that is a good thing and that people need to stand up, voice their opinions, and be heard. At the moment, there is a lot of debate as to what they want. First of all, they just want to be involved in the discussion. That is what they are fighting for at the moment – to actually be considered in the discussion. They want to have a conversation and to start a dialogue. Well, capitalism is going to grow and grow. The nature of it is that the guy who has the most poker chips on the table has more leverage than everyone else. He can eventually outbluff everyone else and outraise everyone else at the table. That’s what has happened and it needs to be corrected. I think that the Occupy Wall Street thing, as long as it is tasteful, is very important. I think that it is important to have people get a sense of their own power and to be able to stand up and voice their opinions. You guys came out with this film at Sundance and it might not have worked coming out in October, but there is still a lot of economic turmoil. Everything that was going on when you guys were at Sundance is still going on, and it might even be worse. So it seems as if the film is coming out at just the right time since it talks about things that are still going on. Baker: Yeah, maybe. It may also work against us. I’m not sure. Movies are an interesting thing. It was like…during the war in Iraq there were a number of films that came out and none of them were very successful because people didn’t really want to know about what was in the news constantly. This film may be the same kind of thing. I don’t want it to be and I think this is an interesting take on what went on in 2008. It certainly gives you a view. The reason why I did it was because I was interested in learning how this stuff actually went down behind closed doors in the workplace. I think most people can identify with the hierarchy of the workplace. We all know what the fallout was. We all know that things went south and in a big way. They haven’t sorted themselves out yet and they probably won’t for some time. But how did these people arrive at this decision to do what they did do to precipitate the crash? I was interested enough to want to do it. I hope that audiences are interested and will look into it. I certainly enjoyed the movie and your performance. Something that I found interesting about the movie is that you guys shot it in a very short time. It was almost like a TV schedule. I could be wrong, but wasn’t an 8 or 9 day shoot? Baker: Well, a TV schedule is…in my show we shoot 8 days for one episode. On this film, we shot 17 days for the whole film. It is a 2-hour movie and it was a pretty tight schedule. I like to work fast and I think that it sort of helps with this one because we are all on the floor. We were all on the 42nd floor at 110th plaza. That is where our production took place. All of our change rooms were offices from a defunct hedge fund bank. I definitely want to ask you about working with Kevin Spacey. If I am not mistaken, the last time you worked with him was on a little small movie called L.A. Confidential. Baker: Yeah, that was the last time I worked with him. I believe your career has taken a pretty big turn since then. Baker: Yeah. It has been a few years under the bridge since. Yeah, I have a TV show that is pretty successful. He is one of my favorite actors. 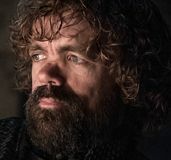 He is great to watch and he always brings so much sort of baggage with each character. It is all there. Even with just a look, there is so much going on with him all of the time. The cast on this film was pretty extraordinary. Even the young guy, Penn Badgley, did a great job. I think the cast is one of the reasons why your film might get a larger turnout than say some of the other financial films. Baker: Maybe. I hope so. I definitely want to ask about your very popular TV show. You guys are in your 4th season right now. Is it sort of like a smooth running machine at this point or do you still have hiccups along the way? Baker: We still have hiccups. I think hiccups are good because in a television show you are going to do 24 episodes a year. You want a smooth running machine so you work towards it being that, but what comes with a smooth running machine sometimes is complacency. With complacency you end up with a bit of mediocrity. So I think it’s important that every now and then there are a couple of hiccups, which we still have. It is a challenge every now and then and we say, “Hang on a second. Can we do this better?” just to keep the bar raised. You guys have had the Red John storyline, which is obviously an integral part of your character and the show. Do you see foresee that storyline wrapping before the end of the show where there would be another arch or do you think the storyline will be with you throughout the entire run of the show? So, in other words, Bruno [Heller] has told you the answer? Baker: We have discussed it a number of times at length. It’s not something that I can really start to talk about without giving things away. There have been some shows like The X-Files that, in my opinion, ran a storyline for far too long. I think that it would’ve been better to mix in a new storyline. But you guys have done a good thing with the Red John storyline. It has been interesting and the show has been able to balance the mythology with stand alone episodes. Can you talk about that? Baker: I think it is important to have the balance of the idea of the mythology and still not hang your hat completely on that. If you are hanging your hat completely on the Red John concept, it is going to move very quickly and you have to move it along very quickly. If you dance around it a bit, touch on it here and there, keep it alive, and keep the show entertaining in its stand alone procedural beats then it sort of balances into two worlds. For me, it is important to have a balance of comedy and drama in a show. You have to have the stakes, but you also have to have a brevity and lightness. Otherwise, it could become a little heavy and get weighed down by the melodrama. I don’t know how familiar you are with comic book movies, but Marvel is developing a Doctor Strange movie. There has been a lot of online chatter and a lot of people might want to see you play Doctor Strange. Is this something that you have heard about? Are you a fan of comic book movies? Baker: I do like comic book movies, but only the ones that I read as a kid. I thought that the Batman stuff was really good and I thought that Iron Man was fantastic. That was a very well made movie. I thought Captain America fell short. Thor…not so much. I actually did like The Hulk. I liked them both, actually. I thought they were interesting. I am interested in seeing The Avengers. Doctor Strange…I don’t know. I am not familiar with that one. There is a lot of talk that Marvel is going to try and go for 2013 and are trying to make two movies a year. You are working on a 24 episodes a year show and I am assuming that you are under contract for another year or another three years. I imagine that your hiatus is a delicate balance between your family and deciding to do something that you are very passionate about. Could you see yourself on this upcoming hiatus wanting to do a big Hollywood movie? Are you already thinking about that? Baker: I have been thinking about it. Films like Margin Call are fantastic because they give me a break and I also do something that I think is interesting, challenging, and very different. I’m also developing a couple of different things myself. There are also a couple of things out there that are kind of looming. It is a balance. As it stands, with the success of my show at this point….when I am 85 and I am going to buy diapers for myself in the supermarket and people don’t associate me with The Mentalist. For me, it is important to fight against that and do other things as well. Saying that, are there certain things that you are thinking about for next year’s hiatus? Would you like to do a dark R-rated movie or ss there something that maybe your agents are pitching you on? Baker: I’ve done two dark movies. Margin Call is a pretty bleak kind of character. Then Michael Winterbottom’s The Killer Inside Me is a film that I did before that. It was a very dark film. I would like to do something a bit lighter. I would like to do something that is just a bit more….I don’t know, broader maybe. I am not sure. I’ll look at them all and assess how I feel at that time. I’m also very, very tired by the time that I get to my hiatus. Baker: We are in our fourth year, but I think my character is unlike most characters on TV. My character has so many facets. So if I put my mind to it, I can still make the character entertaining for me to play. I can still challenge myself a little bit with the character. I’m a fan of the series and of your work, but do you see yourself going for 8 or 9 years? Or is that so far ahead that you can really only look at it as a one year at a time thing? Baker: I am contracted for another 3 years. Whether or not the show will go that long, I’m not sure. But if it does, I will be there unless they replace me. I don’t see that happening. You have directed a few episodes. Will you be directing more in the future? Baker: I actually just finished one. I just locked the picture on Friday. 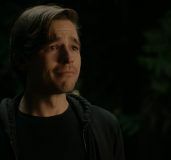 I’m really happy about it and I just got a text from Bruno, who saw it and reckons that it is the best episode that we have done. I was pretty happy with that little text. Do you get to cherry pick the scripts or do you put your name in the rotation? Baker: I am in the rotation. What I do is that I get the script early and work on it pretty hard. Did you see the one that I directed last year? I have seen all of your shows so yes. Baker: So you saw the one that I directed last year? It was the one about the guy who is on fire. Yes. I do remember that one. Baker: So with that one…I just work the scripts a little bit harder than probably most of the directors do because I get the script earlier than they do. 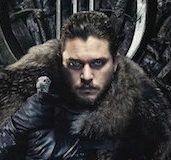 A lot of TV directors that I have spoken to obviously want to stay within the format of the show, but they always try to add a shot or two that are new or interesting. Are you on set looking around and analyzing what is an angle that you haven’t shot? For example, was there a shot or two that you have been saving for the episode that you just locked? Baker: Sort of, but not really. A shot is only as every as good as how well it tells the story. I think that you first and foremost have to get your story right, and then you create the shots. I am a pretty visual director. I do like to move the camera around and I do like to see a refreshing take on stuff, but if it takes you out of the story then I am not interested in using it. That often does happen when people go for a really fun, tricky shot. In my episode, we did some amazing shots. The last shot of my episode is pretty incredible. I want to ask you about pranks on set. Have you ever been a part of a great prank or have you ever had a great prank played on you? Baker: Robin Tunney has done it a couple of times when we have guest actresses. She always tells them to say, “My grandmother loves the show. I need to get a photo of you for my grandmother.” It’s just a gag that she does for some reason. We have a really cute girl working on the show and she comes in to the guest actor and always says, “Can I take a photo of you for my grandmother?” I always say, “It’s always the grandmother…” but I didn’t realize that Robin would put them up to it. But pranks I don’t really have that much time for. There is enough stuff that happens by accident that I don’t need to actually put the effort into making things happen. You obviously have a lot of dialogue that you have to work with and you mentioned the 8 day shooting schedule. Do you take it home with you and work on it at night or are you working on it in your trailer? Can you talk about your work process on the show? Baker: Constantly. It’s just constant. It never stops. On the way to work, on the way home from work, in the car, at home, in the trailer, on set – it is constant. I always sort of feel like I am behind the apple. Can you talk about the dialogue? 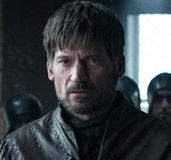 You have played a character for 4 years now and I am sure you are very familiar with your character’s mannerisms and how you inhabit the character. How much changes now when you get a script in terms of tweaking the dialogue? Baler: I don’t like to mess around. I mess a little bit with the dialogue here and there, but I don’t like to mess around too much. Bruno has always given me enough rope to play around with and in some cases to hang myself with, but he has always been very lenient with that stuff.